The Perimeter Training Room can seat up to 16 people and is convenienly located at 1050 Crown Pointe in Perimeter. 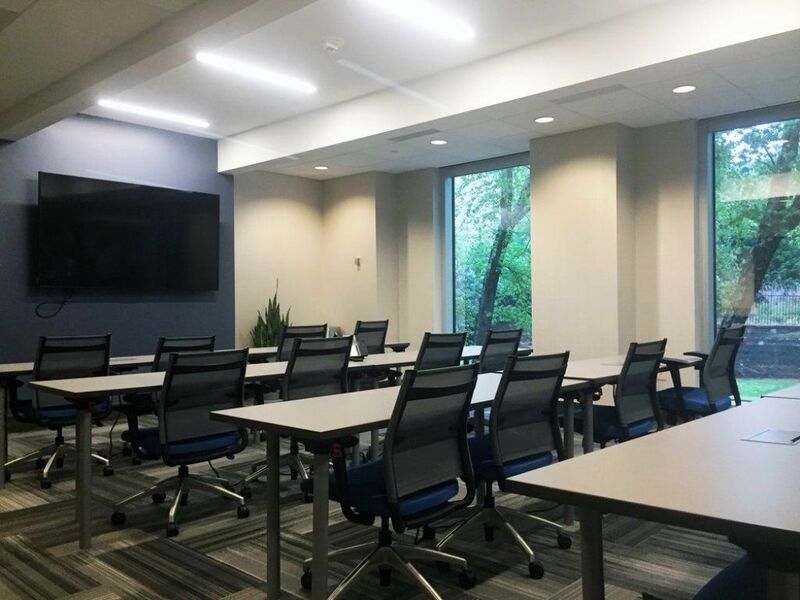 This training room includes free parking, free wifi, complimentary tea/coffee/water, 80" HDTV with HDMI connectivity, VOIP phone. *Catering available. Rent this meeting room now for your next meeting or training session! Call 404-250-3200 to reserve this room.